From the incomparable wit of Noel Coward comes a breezy, wonderful splash of comedy as a young Englishman marries a glamorous, modern young woman and brings her home to meet his parents. Sparks fly as his new bride, Larita, arrives like a jolt from the future to celebrate a woman’s right to lead her own life. 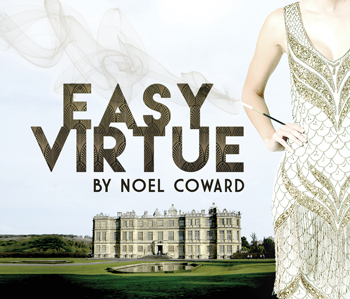 Originally produced when Coward was riding a wave of success, Easy Virtue has enjoyed many successful revivals over the years and is a perfect summer ride in celebration of the individual spirit. For tickets by phone, call 1-800-564-9539. If you need reasonable accommodation to fully participate in this event, please contact the Dept. of Theatre and Dance at 561-297-3810 or TTY Relay Station 1-800-955-8770. Please make your needs known as soon as possible to allow for sufficient time for effective accommodations, preferably by June 3.